Production of chemicals namely Carbon di-sulphide, Sulphuric acid, Water & Effluent Treatment, Integrated Management System, World Class Manufacturing (WCM), Sustainability. 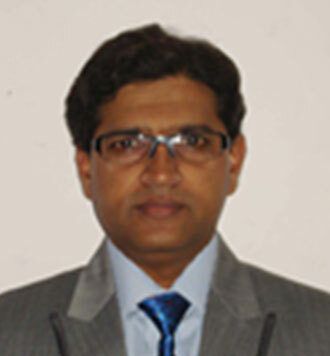 Dr. Mritunjay Chaubey is sustainability & environmental technology expert of international repute. He has done Ph.D. in environmental engineering from Indian Institute of Technology (IIT) Delhi. He has nearly twenty two years of professional experience in renowned MNCs like Shell, Unilever, UPL & Pentair in field of sustainability, environmental engineering, water & wastewater treatment. Currently more than 100 environmental protection technologies are successfully working in Asia, Africa, Europe and America designed by him. Dr. Chaubey is having experience of working in cross cultural environment - Netherlands, Italy, Turkey, Singapore, Brunei, Malaysia, Dubai, USA, Libya, Indonesia, Russia, China, South Africa etc. His contribution towards the research work of fixed film bioreactor technology, fluoride removal, extreme modularization of WWTP & low salinity water flooding were also well appreciated by the industries. He is member of various international bodies. More than 50 technical papers has been published in renowned international journals & conferences with his name. Dr. Chaubey is currently working as Global Vice President – Environment & Sustainability with UPL Limited. He is member of WBCSD Water Leadership Group. He is also member of editorial board of International Journal of Chemistry & Environment, Arab Water World and Water Digest. Recently Dr. Mritunjay Chaubey awarded with “CSO of the Year Award” at Air Quality Control & Monitoring Summit 2017, New Delhi. 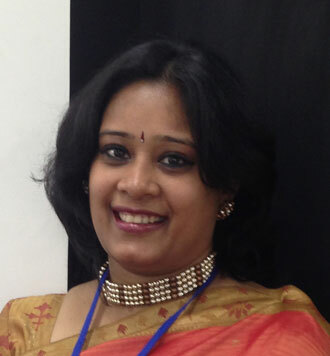 Juhi is currently working as Senior Manager & Head of Sustainability at PepsiCo India. She leads their community water programs focused on water replenishment, driving water stewardship through community institutions. She has worked on thematic areas of education, nutrition, water & sanitation, women empowerment, & sustainable agricultural practices. She is an active member of various industry CSR forums,participating in the CSR development & industry best practices. She has an experience of 15+ years in various facets of Corporate Affairs, starting her career in Government Affairs & moving on to becoming a CSR practitioner. Her Sustainability efforts at PepsiCo, in the area of water replenishment & community engagement, have been recognized as the Best Community program in water sector,across various National Forums. She has been featured in the list of top 25 CSR professionals in the Country by CSR Times, one of the leading publications on CSR in India. She holds a Post Graduate Diploma in Public Relations, after completing her Graduation in English Literature from Delhi University. She is very committed & passionate about CSR, & strongly feels that community engagement should be viewed as a vital component of business not just as a license to operate but as an opportunity for creating real value for the underserved communities. 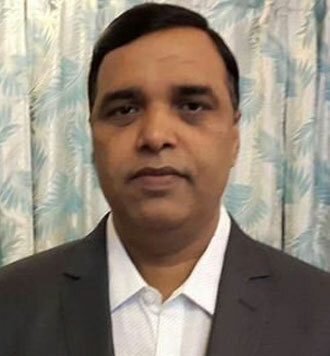 Biren, having completed M.Tech (Chemical Engineering) and Post Graduate Diploma (Environment Law) & MBA, has worked for over 30 years with organisations such as Indian Petrochemicals Corporation Limited, TVS Electronics, Reliance Infocomm, General Electric Company &Aditya Birla Group, in various roles. As a CII-Certified Sustainability Assessor ,Biren has undertaken numerous assessments on behalf of CII for the CII-ITC Sustainability Awards. A prolific business leader with 24 years of experience in running and managing businesses across domains & customer segments, working with Schneider Electric for 13 years. Schneider Electric is the global specialist in energy management and automation, with €25billion revenues, helping customers in 100+ countries to make their energy & process safe, reliable, efficient and sustainable. The connected technologies of Schneider Electric reshape industries, transform cities & enrich lives. 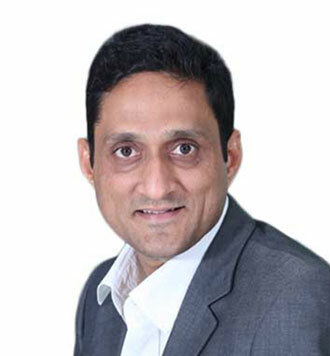 Venkat has a proven track record in leading and turning around businesses to consistently drive revenue and profitable growth through General management, Strategy, Sales, Marketing, Business development etc. A versatile leader blending strategic & tactical thinking, dexterity to manage change & care for customers & employees alike. Currently leading the Strategy & Alliance (S&A) function with focus on M&A in India & neighbouring countries, responsible for Energy Efficiency (EE) Programme of the company largely to promote EE & sustainability. Instrumental in winning prestigious awards like Golden Peacock award for Energy Efficiency,Sustainablity, Frost & Sullivan Best practices award for Emerging Energy Management Solutions Provider 2017. Executive council member of AEEE (Alliance for Energy Efficiency Economy) - a not-for-profit organisation which plays the role of Energy efficiency market enabler by supporting Policy Advocacy, Implementation advisory & supporting competency development. Venkat is passionate about Social impact initiatives like Skill development, Rural Electrification, Education etc., currently the board member of Schneider Electric India Foundation (SEIF), committed towards social-economic inclusion of communities by providing universal access to electricity combining Innovation, Entrepreneurship & Skill development. An Electrical Engineer with Masters in Business Management specializing in Marketing. Having worked with start-ups, Venkat is very excited about the potential of the tech start-ups & spends his free time supporting & mentoring them. Venkat likes long distance running, music & leadership coaching. Jaideep Bansal is the Energy Access Leader for Global Himalayan Expedition (GHE) and is working to electrify the remote mountainous communities using renewable energy through Solar Power. GHE has brought energy access to 75 villages, empowering over 35,000 people in the Himalayas. 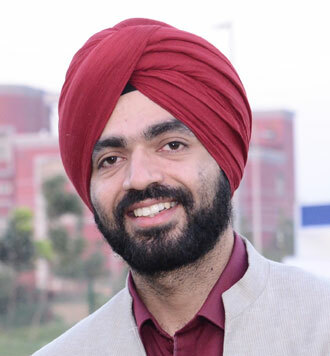 Jaideep is also the Foundation Board Member of the Global Shapers Community, an initiative of the World Economic Forum. GHE’s work of rural and remote electrification has been documented by National Geographic, BBC, WEF and has reached out to millions of people across the world to inspire them to take up service as a human duty. The initiative has also been instrumental in providing experiential-based digital education to the students of the region by setting up Himalayan Innovation Centres. Jaideep has highlighted the need for sustainable energy access through several articles and as a speaker at various international forums like Davos, SEforAll and ADB Manila. He was been featured repeatedly at the Annual Meeting of the World Economic Forum in Davos as the top leaders inspiring change in the world. He is presently heading Sustainability and CSR initiatives for HCC Limited which includes Sustainability Reporting, UNGC’s CEO Water Mandate, Disaster Response Network and Community Development. He has worked for over 24 years in various fields like Environment, Safety, CSR, Sustainability, Water, Disaster and Legal. He played pivotal role in conceptualization and strategic planning of HCC’s sustainability reporting by formulating a robust mechanism to capture HCC’s performance under triple bottom line including Environment, Water and Society. He customized and proposed best green energy practices. HCC’s Sustainability Report has been complied with latest GRI guidelines/standards, since 2010. The sustainability report also includes COP-Water and CoP-Climate as the compliance for UNGC’s initiatives, CEO Water Mandate and Caring for Climate. He also makes SEBI compliant ‘Business Responsibility Report’ (BRR). In his previous assignments, he was instrumental in developing share portal based data tracking mechanism for sustainability initiatives. While working in Chemical Industry, he had run the pilot batches of the microbial process to treat the effluent. This research helped to enhance the efficiency of the effluent treatment plant by more than double. He has given a significant contribution in developing Mumbai’s first butterfly Garden. 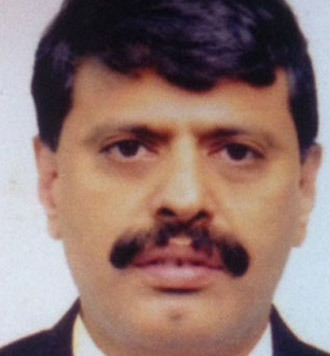 He had been a Lawyer practicing in various Courts of Law including the High Court, Mumbai. He was selected for prestigious ‘Environmental law and policy training program’ for young advocates of the SAARC countries. World CSR Congress recognized his efforts, and listed him in, ‘50 most Impactful Leaders in Water and Water Management’, ‘100 Most Impactful CSR Leaders’ and ‘India’s Sustainability Leadership Award’. CSR Times included him in ‘India’s Sterling 25 CSR Professionals’. His work involves ESG and Sustainability Strategy, Environment and Climate Change Projects, Responsible Business Reporting and Sustainability initiatives Implementation and culture building across 137+ locations globally. He is responsible for design and implementation of social and environmental projects to meet the demand of internal and external stakeholders. Under his leadership the company has won “National Award for Best Environmental Sustainability 2018 “and IGCC Award for Outstanding Sustainable Practices 2018”. He has achieved "India Sustainability Leadership Awards 2017"; also recognized as top 10 finalists in "Tata Business Leadership Awards 2017". 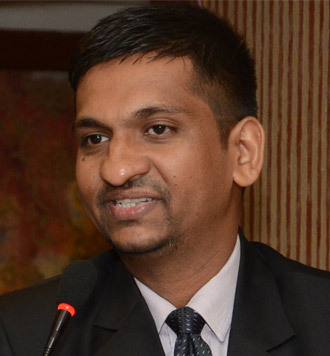 Earlier Alok had handled corporate sustainability projects at India's largest steel and power conglomerate; prior to that he was working with consulting firms. Based in Gurgaon, Charan Singhheads the ‘Softlines’ division of TUV Rheinland India that focuses on Testing, Inspections, Sustainability and Technical audits relating to Apparels, Home Textiles, Leather & Footwear, Jewellary, Food Contact Materials and Toys. TUV Rheinland is a global leader in testing, training, inspection, certification and consulting that ensures quality and safety in the interaction among people, environment and technology. 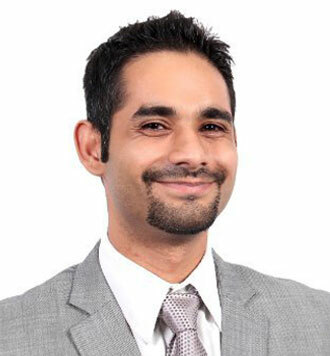 An energetic individual of high integrity with highly accomplished stints in SGS India, Reliance Retail, and STR Labs (later known as UL), Charan Singhjoined TUV Rheinland India in 2011.He was responsible for the successful implementation of the ‘Softlines” business plan with the commencement of the Lab operations in an unprecedented time of 9 months in 3 cities and achieved break even in a record time. 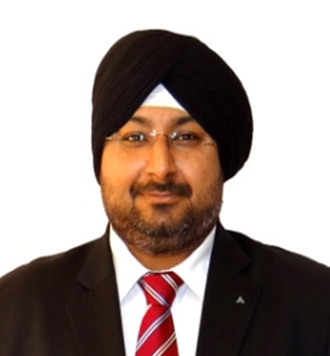 Within a few years, Charan Singh rose to his present position, with additional responsibility for the Sales and Key Account Management and Operations role for Products in IMEA (India, Middle East, Africa) which covers Electrical, Hardlines, Commercials business fields. Charan Singh, with his strong growth oriented strategies, brought the India, Bangladesh and Turkey Operations to profitability and over achieved the targets for 2016 and 2017. He is a proactive planner with expertise in strategic planning, market plan execution, account management with skills in P&L Management, Competitor and Market Analysis, Key Account Management and Financial Planning. At present Charan Singh is driving the topic of chemical management/zero discharge of harmful chemicals working closely with ZDHC, by creating awareness by means of conducting training programs in India, Bangladesh and Turkey. Charan Singh has delivered various papers at key forums both in India and Abroad. 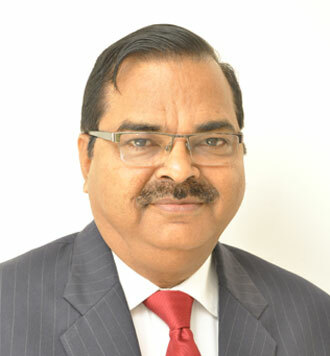 He is the Chairman of American Association of Textile Chemists and Colorists (AATCC), India chapter, a Senior Member of Textile Association of India and Executive member of Textile Institute Manchester, North India chapter, Member of Retail Committee under European Business Group, Member of Indo German Chamber of Commerce. Sangeeta Robinson heads Sustainability and Inclusivity at PVR Cinemas whereshe’s working on, among other things; to make the cinemas friendly for the differently-abled! A Post Graduate in Mass Communications from Punjab University Chandigarh, she managed and led Communications for nearly 2 decades till she was drawn to make a career shift to Sustainability. Having heldsenior leadership positions in IBM, Tata Group, Cummins etc., Sangeeta has won acclaim for her work across Communication and Sustainability both domestic and international levels. Prominent among them being, the Asia Publishing Award, 2010 for the Most Innovative Internal Communications Campaign, CMO Asia Award for Sustainable Strategies, 2011, Special Jury Commendation - Business World FICCI CSR Award 2012 and the D. L. Shah- ASSE India Award for Excellence in Sustainability, 2015. 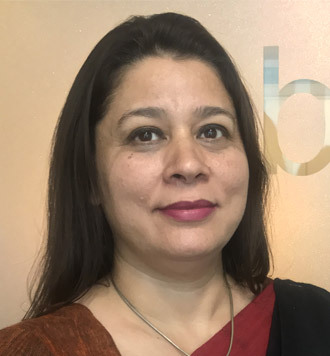 In addition, she has beena Lead Assessor with the CII-ITC Centre of Excellence for Sustainable Development since 2014, a Business Excellence Assessor (TBEM) and is also certified to do Sustainability Reporting as per GRI’s G4 guidelines. Her cross-industry and cross-functional experience ranges across various sectors like Heavy Engineering, Automobiles, Power, Insurance, Telecom and IT and gives her a unique edge and understanding of industry-related issues, regulatory frameworks and cross-industry Sustainability challenges. An alumni of IIT-Delhi and has served in NCCBM (National Council for Cement & Building Materials) for 14 years in the field of developing new types of cement for specific purposes, quality improvement, and waste utilization. Engaged in diversified profiles and roles in the cement sector. In the year 1993, was recognized as “The Best Scientist”. Having rich experience of industrial competence and academic research as 3 successful CDM (Clean Development Mechanism) projects under his belt affirms readiness and expertise level for latest & innovative ideas and their implementation. Serving as Chief Climate & Sustainability Officer at Shree Cement Limited, (SCL), and has been involved in various research projects undergoing at Shree R&D centre. Leading the SCL’s more than a decade long journey of sustainability reporting successfully. Serving as Chairman for Environment Technical Committee of Cement Manufacturer’s association (CMA). He is a member of BEE’s (Bureau of Energy Efficiency) Energy Task Force under the Knowledge Exchange Platform (KEP), developed by BEE recently, also member of advisory committee of Rajasthan State Pollution Board (RPCB). Member of FICCI Climate Change Taskforce and NCBM’s Research Advisory Committee and has contributed in various projects. Appointed as Co-Chair for Climate Taskforce for the development of Low Carbon Technology Roadmap (LCTPi) of Cement Sustainability Initiative India (CSI). Actively engaged with WBCSD’s (World Business Council for Sustainable Development) Cement Sustainability Initiative (CSI) under Environment Working Group (WG). Recognized as Top 50 Green Leaders in India by World CSR Congress, Mumbai. Various initiatives for utilizing AFRs (Alternate Fuel & Raw Materials) towards sustainable development has produced many fruitful outcomes for SCL’s sustainability drive. One of the principal contributor in SCL’s sustainability drives and has actively involved under various GHG reduction & Sustainable Development initiatives. The technical expertise in GHG evaluation & monitoring has led SCL towards being one of the most GHG efficient companies in India. 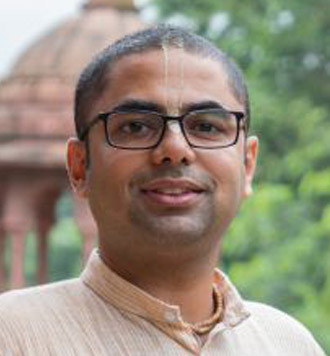 Sandeep is a co-founder at VNV Advisory Services, a social enterprise working with communities & climate change. He is also a director at “Carbon Initiative forum“, a non-profit working on climate change awareness. He heads VNV’s ownership on low carbon social development projects such as sustainable agriculture, social forestry, clean cooking, rural energy access and waste management. His work encompasses over 3 million rural households across the South Asia region and over 40 NGOs and implementation partners. He plays an advisory role to over 100 companies and non - profits for sustainability related affairs. 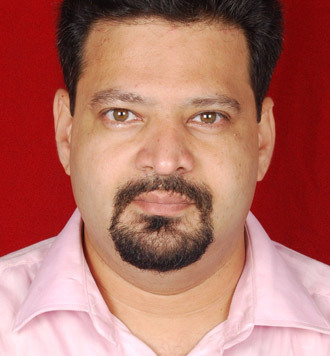 Sandeep has over 15 years of industry experience in various fields, with 6 years dedicated to the consulting business. His innovation in the field of Climate projects and its relation to corporate sustainability has been widely recognized. He is a certified auditor for various sustainability standards such as the forest stewardship council and is also a certified sustainability assessor and a Salzburg Global Fellow.